I received a text from a friend recently wondering if some mushrooms could be a type of morel. They were not morels, they were stinkhorn, and there is a good reason for that common name! Stinkhorns are club fungi, in the Order Phallales and Family Phallaceae. One of the genera is Phallus. So no doubt about the phallic form of this group of mushrooms. Stinkhorns have been variously described from fascinating to bizarre to disgusting. There are around seventy to eighty species globally. And within their range, these mushrooms seem to seemingly pop up out of nowhere, anytime and anywhere. They really are quite unpredictable. That stench, of course, will attract flies (and other invertebrates) that pick up the spores in their feet and other body parts. Some of the spores may even be ingested. Either way, the flies serve as the main vector to disperse the spores to new habitats. 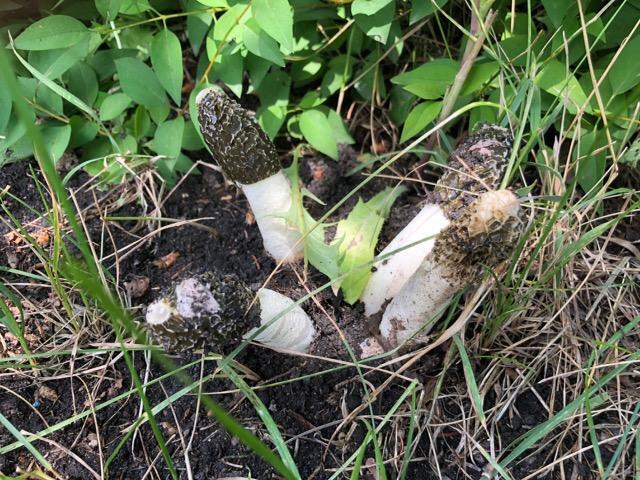 The mushroom in question was probably Phallus impudicus (“common stinkhorn”) which has a sight resemblance to a mature morel, with several differences, such as accompanying stench and slimy covering. Several years ago, a putrid odor was noticed near the door to a Bottineau business. I was invited to check that mushroom as well. 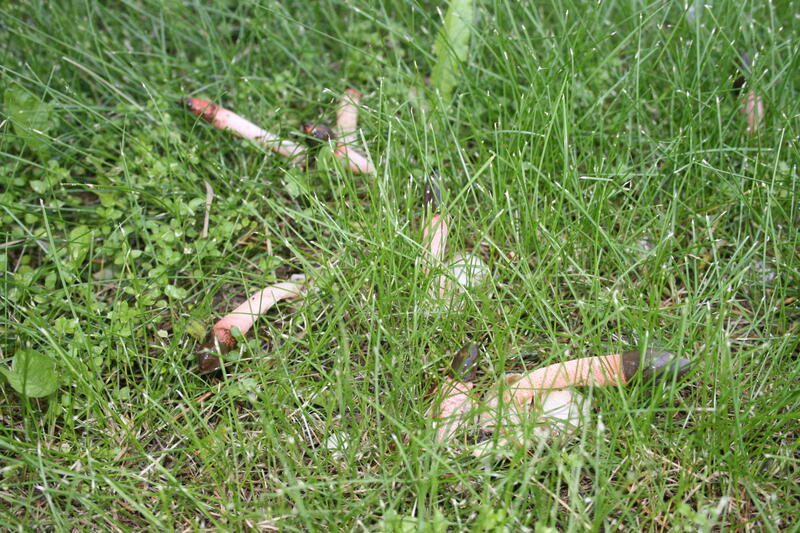 To the chagrin of the owner, in the grass, nearby, were several dog stinkhorns (Mutinus caninus).